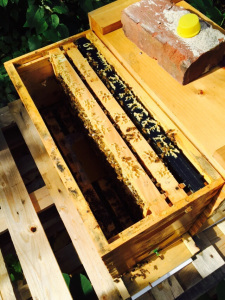 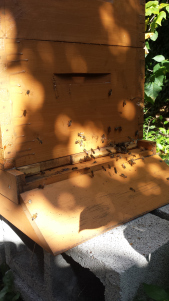 On this beautiful afternoon, I went down to the hives for a regular check up. 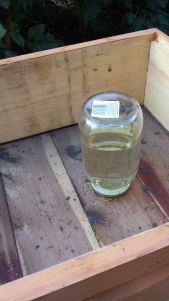 I also took advantage of a new bee box that was etched and torched with flame to create a nice burnt effect. 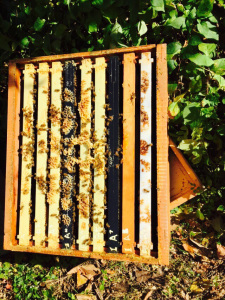 As you can see in the pictures, the box is raw wood (unpainted and unsealed) as opposed to the majority of the other boxes which are painted. 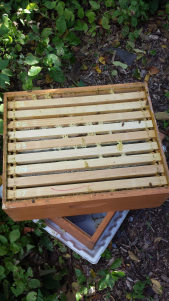 Both nucleus hives seem to bringing in a good amount of white pollen which I suspect is from the surrounding Japanese Knotweed in the area. 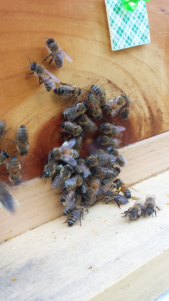 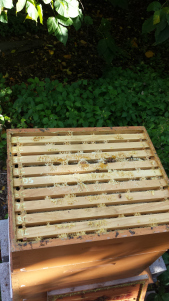 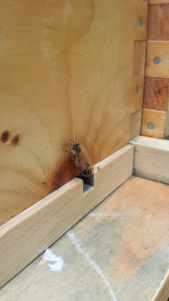 All hives are bringing in a good amount of pollen. 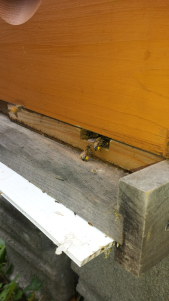 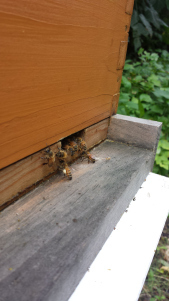 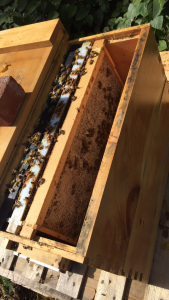 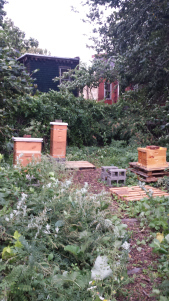 Not much activity in the hives today because of the lower temperatures and high winds.